Are you ready for the ultimate list of free baby stuff? I've gathered the best "new mom and baby freebies & discounts" to help build your baby supply stash! Take advantage of all of the coupons, free samples, free trials, cashback sites, and fun resources available to new & expecting moms! You'll probably end up with 5 free diaper bags, 10 cans of formula and a lifetime of diaper rash cream - but hey, you can always share your overload with your girlfriends. Article may include affiliate links. 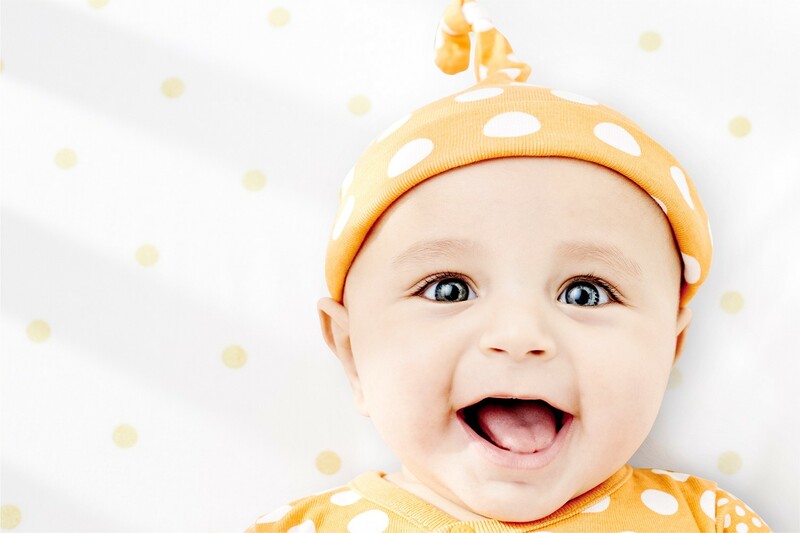 Before you start signing up for free diapers and other goodies, first things first, you must sign up for a FREE Amazon Baby Registry! It comes with a bunch of invaluable perks! Easily add items to your baby shower registry list from ANY site for one easy to manage registry. Pretty genius idea! Receive a full pack of diapers and 32 wipes! That's a pretty good deal! 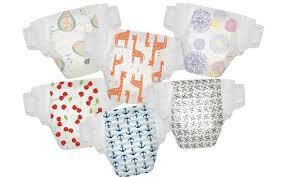 - Grove diapers and wipes are made for sensitive baby skin. Print these FREE baby shower signs from home or a copy shop! Click the picture to access them - they look best when printed onto white laser paper, cardstock or matte photo paper. Enjoy! FREE Ebates Account - my fave! Ebates has beed around since 1998 so they're the real deal. Ebates pays you cash back every time you shop online. As well as provide you with the best coupons and deals online. Plus, when you join Ebates, they will give you a $10 welcome bonus! All you do is go to Ebates, create a FREE account, click through to the site you want to shop at (Nike, The Body Shop, Amazon, Macy's, and 1,000's more) and shop like you normally would. Ebates gives you cash back on all of your purchases. AND, they offer all kinds of cool deals and double cash back stores, some stores offer up to 40% cash back (crazy!) It is addicting and so much fun - and the money adds up fast - let me tell ya! So, if you do any kind of online shopping, hop over and grab your free account so you can start saving right away! Your checks will start rolling in in no time! Amazon is my go-to store for ... everything! I am an Amazon Prime crazy person - you can order something and have it at your door in 2 days - and you get free shipping! You can also stream 1,000's of free movies and videos - I don't even use that part of it, but my husband does and he loves it! Prime is super cheap and you can now pay by the month instead of having to pre-pay for the whole year, which is cool. Try it out for free for 30 days - there is a family version where you get all of the perks of Prime (for the same price), but also get 20% off of your diapers and tons of exclusive coupons and deals for families. So, if anything, give it a whirl for 30 days and see if it benefits your family. If not, you don't have to pay anything if you cancel before 30 days is up. Get up to $325 in free gifts for you and your baby throughout your pregnancy, baby’s first year and into toddler years! You also get free belly badges! Sign up for free, here. I loved this site when I was expecting my kids - weekly emails that track your baby's development, size, what they look like - so cool! Sign up for free, here. 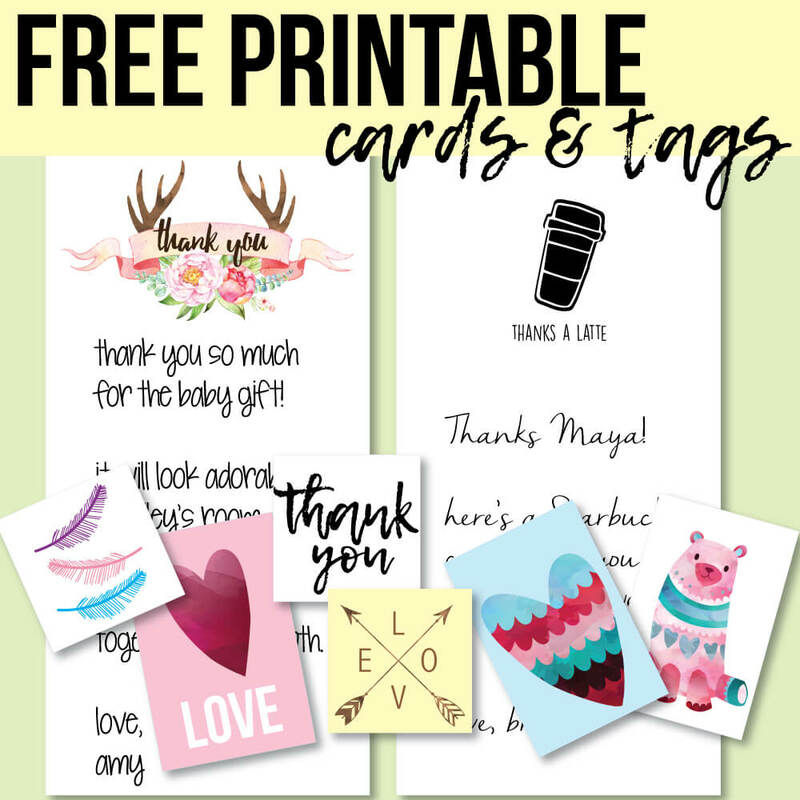 I made a pack of printable thank you cards and favor / gift tags - FREE for you! Simply print, trim and you're all set!